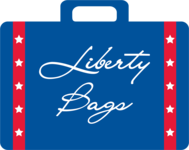 If you’re a lover of cool and insulated drinks, the Liberty Bags FT001 insulated can holder has your name on it. Made using jersey cloth with foam backing, the Liberty Bags FT001 is an affordable and easy way to keep your cans cool while having fun. Whether you pack a few for your next camping adventure or screenprint some beer koozies for a bachelor party or wedding favor, Liberty Bags FT001 insulated can holders offer the function you need at price that can’t be beat. There’s never a bad time to pick up some koozies- today’s your day!